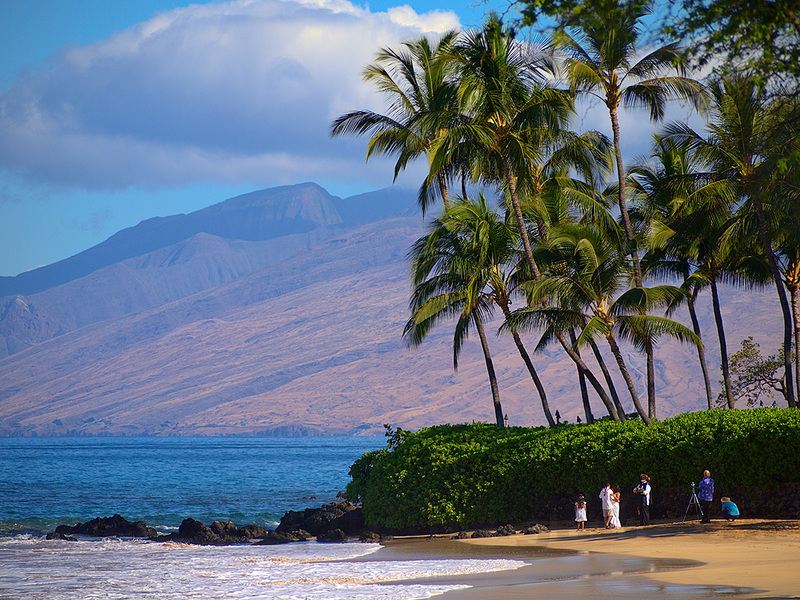 Beach weddings are a huge business here on Maui and I walked past a fairly typical one this morning. There was a bride, groom, their daughter, officiant, photographer/witness, and organizer/witness. 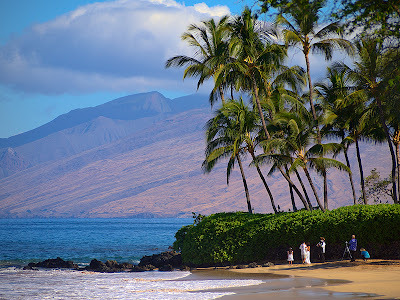 Something different today was an officiant who was also a musician, and the bride and groom dancing on the sand. There often is a musician, but this was the first time I've seen the bride and groom dancing at the ceremony. Nice touch. 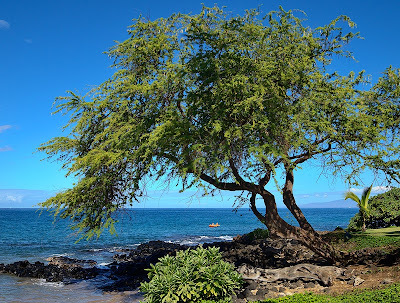 I don't have an explanation for my recent photographs of Kiawe trees, but here's another one for your enjoyment.